There’s lots of cooking going on this week over at my main site - The 21st Century Housewife. 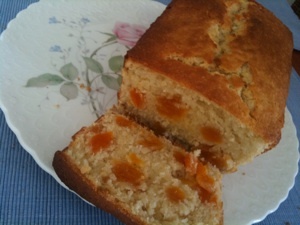 I’ve shared a really delicious Apricot and Almond Loaf Cake with Couscous and Consciousness’ Make It With…Mondays. There’s a great new meatless dish from Meatless Monday - Vegetarian Stuffed Peppers. 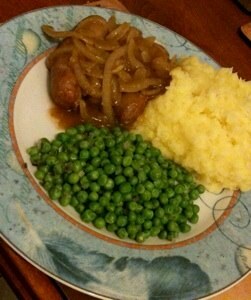 And a lovely comforting family meal that is great on a cold evening – traditional British Sausages and Mash with a delicious Madeira Onion Gravy. It all looks so good! I am going to try the stuffed peppers soon. IT ALL Looks so GOOD! YOU are making me hungry!!! :) Thanks for sharing!!! I liked to cook in the past, now after 40 years I everything is short, easy and healthy. I have never been a housewife, I have always worked and am now retired.